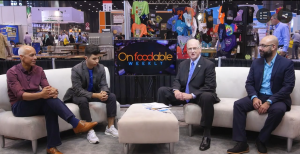 June 15, 2017 – I’ve returned from moderating the Future Food Panel (what a kick) at Foodable.io and the massive four day National Restaurant Association Show with Paul Barron’s Foodable Network and International Foodservice Manufacturers Association rocking Media Stage. We recorded many informative and fun On Foodable Weekly episodes and I met numerous Restaurant, Foodservice and Manufacturing Industry leaders during my week in Chicago. More to come on that in the near future. All restaurants should strive to increase sales and profits, but many are only realizing the daily pressure to just stay in business. It’s particularly difficult for those restaurants located in business unfriendly California with the unwise local and state politicians continually raising minimum wage to exorbitant levels. Many of you are in restaurants daily or at least weekly with business associates, families and friends. 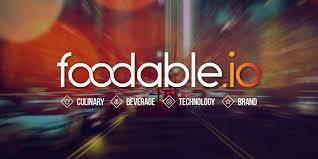 These restaurants include all segments and styles: Casual Dining, Fast-Casual, QSR and Fine Dining. It doesn’t matter if it’s the first visit or you have been loyal guests, the service basics for delivering a WOW Guest Experience are being missed or poorly executed at an ever alarming rate. Hello? What do I mean? The Sequence of Service – ServPoints™ is the architecture for the complete Guest Experience or Brand Delivery. ServPoints™ include: The Initial Guest Greeting and Welcome, Identifying First Time Guests, Timely Service of all Meal Courses, A Thank You and Invite to Return, and my favorite and most important The Quality Checkback. Simply stated our service goal should be to have each guest become loyal and then a Lifelong Guest™. After the delivery of a meal course, frequently the Front of House Service Team completely disappears for long periods of time – never to be seen again. Yes, we would like that STEAK KNIFE, a side plate, the special sauce that was suppose to be served with the appetizer or main course, or simply some additional butter. You get my service point, right? We don’t have time for the wait or to experience our meal getting cold before tasting it. Servers, expeditors, runners, managers – please anticipate and be ProActive. What a great opportunity to exceed guest expectations. So please read this previously published At A Glance. I’ll be reposting several more over the next month. ServPoints™ and Hospitality go hand in hand and will build your brand and business – from the United States of America all the way to my mate (Hello, Carrie White – Front of House) in Australia (Melbourne) at Coterie Hospitality. 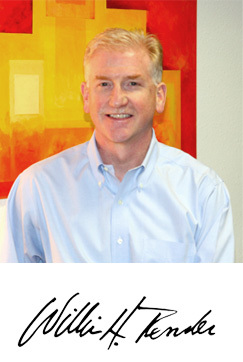 Click ServPoints™ to view At A Glance – Quality Checkback’s Timing. 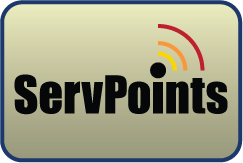 Call me about improving your restaurant Sales and Profits with #ServPoints Sequence of Service™ Today – 408.784.7371 We’re located in San Jose, California, The Capital of Silicon Valley.